There are people that are made tough by their environment and then there are people that are just born tough because of their environment. Misty Raney Bilodeau seems to be one of the latter and doesn’t really care if people know it or not. She has a soft and sweet side for certain but for the most part she’s going to tell people what’s what and if they don’t like it then they can buck up and get used to it. This woman is the epitome of tough since she’s lived in the kind of conditions that aren’t entirely uncomfortable but aren’t bound to be nice and cushy all the time either. She’s dedicated her life to making the lives of others something that can be sustained and weathered in any situation and she’s been proud of it for a long time as she should be. When you read about this woman you can guarantee that if someone ever complains about how city life is just too rough she might actually laugh. Here are a few things you might not have known about Misty. 10. Her net worth is around $200 thousand. This is probably one of the lowest I’ve seen while doing these articles but it also bears stating that Misty likely doesn’t care since she knows how to keep her family secure without a whole lot other than what they can grow, hunt, and do themselves. If she’s even half as tough as they make her out to be on TV then her net worth might not be a big concern. 9. She’s an actor that worked on the show Homestead Rescue. This show is all about helping those that have decided to move out into the wilderness to get away from it all but didn’t realize just how rough things were going to get. A lot of us tend to take for granted the amenities that we have in the city and don’t understand just what it takes to survive in the wild. 8. She and her husband have homes in Hawaii and Alaska. 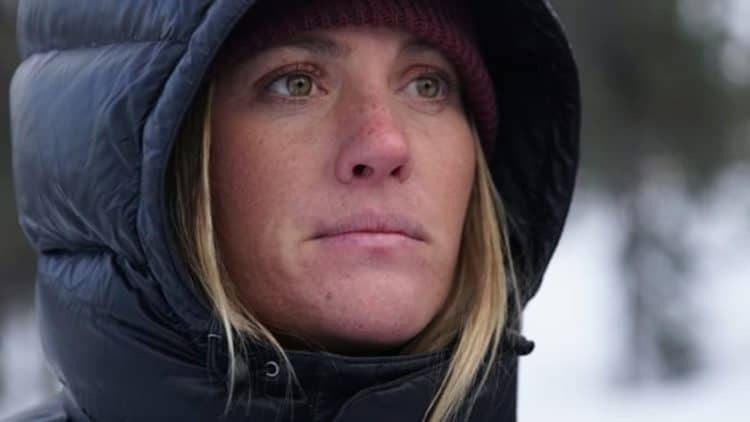 During the summer she and her own family live in Alaska and help out with the family farm in order to make things run smoothly, but in the winter they take off for Hawaii in order to kick back and relax a bit. 7. Her primary income comes from farming it would seem. Farming can produce a pretty big income since people have been doing it for so long that others have come to rely on them for their produce, meat, and other goods that are produced. It’s something that can fluctuate quite a bit with market prices, but it’s still a needed profession. 6. She’s a very handy person to have around. Misty can make pretty much anything that’s needed for a homestead out of any materials that happen to be laying around. Realistically if she’s going to do the kind of job she takes pride in she needs the right materials, but she can show people how to survive in ways that others might never have thought of. 5. Misty is the kind of person that can help people survive and learn how to do for themselves. Her family’s methods aren’t always bound to agree with some folks but they’re tried and proven since her family has been doing this for quite a while and is able to make it in the wild where others tend to falter. In other words she’s one of those folks that you might be better off listening to when it comes to learning how to live off the land. 4. She’s very big into hunting and fishing with her family. Misty doesn’t shy away from fishing and hunting since she knows very well that this is where part of their food comes from and on top of that it can be kind of cathartic as well for those that love being out in nature. Hunting for your own food is something that many people talk about but few ever do. 3. Social media doesn’t seem to be a big thing for her. She’s got a few followers, as in the thousands, but it wouldn’t seem that she’s too big on it since the numbers don’t seem to have jumped all that much since she’s been on the show. It could be she’s just too busy doing her thing to really pay attention. 2. She tends to get very emotionally attached to the people she’s helped. This seems like it would happen to a lot of people but Misty does tend to really get on with the people that she’s helping since she wants to know that they’re going to be okay and that her family’s efforts aren’t going to be wasted. 1. Misty doesn’t like being called a tomboy. She doesn’t really like being labeled as she believes that a person is just a person no matter what labels people want to slap on them. Misty sounds like a very simple, no-nonsense person that loves what she does and enjoys her life.